Open top fun in the sun. 46000 miles, black, alloys, superb. Offering unique sporty looks thanks to sweeping curves and bold styling cues, Renault's Wind Roadster has no problem standing out from the crowd. If you're in the market for wind-in-your-hair thrills and an engaging ride, this coupé-cabriolet will deliver. 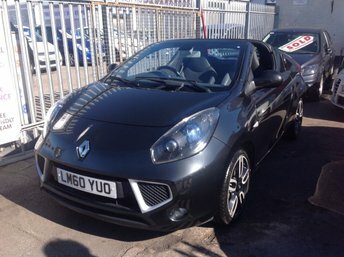 Start your search for a used Renault Wind Roadster for sale in Hull here on our website. At Pick A Car we stock a vast range of quality used cars, all at affordable prices to suit every budget. Our showroom team are friendly and experienced and they'll go the extra mile to help you find a vehicle that suits your individual needs. Find out more by contacting us today.